Home Common Questions Answered Is the Bible reliable? 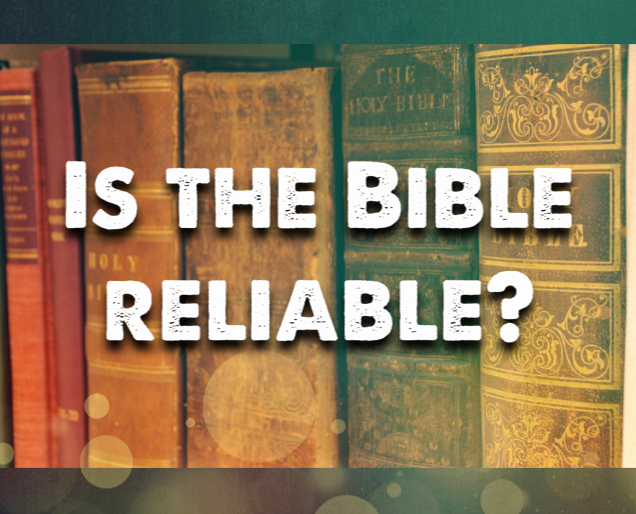 Home / Common Questions Answered / Is the Bible reliable? Many non believers today question the Bible's accuracy. This questioning usually boils down to one of four main questions: Are there errors of fact? Are there errors of verbal transmission? Are there errors of written transmission? Are there contradictions? 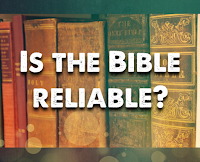 The evidence for just the New Testament's reliability FAR outweighs all the others! In addition to the many thousands of New Testament manuscripts, there are over 86,000 quotations of the New Testament in the early church fathers. There are also New Testament quotations in thousands of early church Lectionaries (worship books). In fact, there are enough quotations from the early church fathers that even if we did not have a single copy of the Bible, scholars could still reconstruct all but 11 verses of the entire New Testament from material written within 150 to 200 years from the time of Christ! Entire copies of the New Testament are still in existence from the fourth century (two important ones include Codex Sinaiticus and Codex Vaticanus). Their contents help us to confirm the earliest wordings in nearly every instance. There are tens of thousands of manuscripts from the New Testament, in part or in whole, dating from the second century A.D. to the late fifteenth century, when the printing press was invented. These manuscripts have been found in Egypt, Palestine, Syria, Turkey, Greece, and Italy, making collusion unlikely. Before the discovery of the Dead Sea Scrolls, our earliest Hebrew copy of the Old Testament was the Masoretic text, dating around 800 A.D. The discovery of the Dead Sea Scrolls in the twentieth century provided copies of almost every book of the Old Testament from the third century B.C. to the first century A.D. That's about a thousand years earlier (150 B.C.) than the other Old Testament manuscripts then in our possession (which dated to A.D. 900). Despite minor differences, the Old Testament text has remained amazingly intact. We also have the Septuagint which is a Greek translation of the Old Testament dating in the second century B.C. When we compare these texts which have an 800-1000 years gap between them we are amazed that 95% of the texts are identical with only minor variations and a few discrepancies. The 5 percent of variation consisted chiefly of obvious slips of the pen and variations in spelling. The significant thing is that when one compares the two sets of manuscripts, it is clear that they are essentially the same, with very few changes. The fact that manuscripts separated by a thousand years are essentially the same indicates the incredible accuracy of the Old Testament's manuscript transmission. 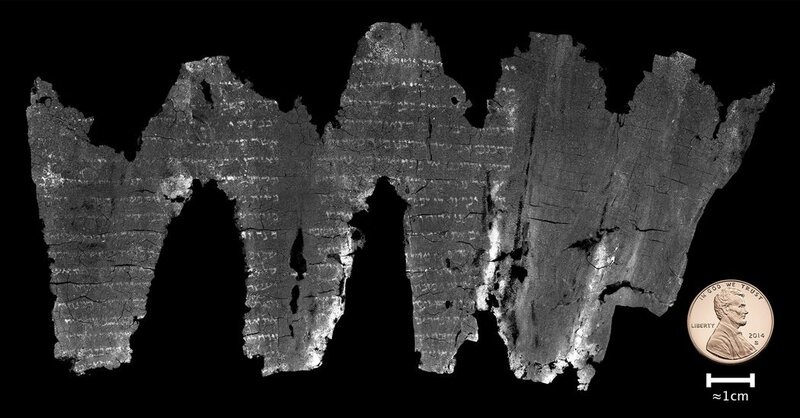 This 2,000-year-old scroll (pictured below) has been in the hands of archaeologists for decades. It hasn’t been possible to read it, since it was too dangerous to open the charred and brittle scroll. Scientists have now been able to read it, using special imaging technology that can look into what’s inside. The results? The current manuscripts we have of the book of Leviticus haven't changed in 2,000 years at all! Outside of the Dead Sea Scrolls, this scroll is the oldest fragment of the Bible to be found in modern times. Another amazing thing to consider, is the fact that the Bible is 66 books! And yet it has complete unity of the overall message despite having so many different authors writing over many centuries on hundreds of controversial subjects - that is unbelievable in itself! The Bible was written over a period of roughly 2,000 years by 40 different authors from three continents, who wrote in three different languages. These facts alone make the Bible one of a kind, but there are many more amazing details that defy natural explanation. And what about the contradictions? There are NO contradictions in the Bible. The misunderstanding is due to a lack of study of the scriptures. I've done a whole article on the so-called contradictions, which you can read here. 1. Hearsay. They have never looked at it but have heard that others reject it. 2. Presuppositions. They believe that miracles cannot happen and because the Bible describes miracles it must therefore be false. 3. Science. They think the Bible makes claims which have been disproved scientifically. 4. Morality. They reject the Bible’s moral teaching especially about sexuality. 5. Personal. They are unwilling to accept the personal implications of the Bible’s teaching. Bottom line: the New and Old Testament have an overwhelming amount of evidence supporting their reliability. In fact, the Bible should be enough Christian evidence for anyone since its reliability, alone, defies natural explanation. PLEASE NOTE: Even without a knowledge of the above information, the hidden messages/proof in the Bible, and the extraordinary mathematical design of the Bible alone, shows it was inspired by God, and is extremely well preserved.